As a fan of both Star Wars and Monty Python for the vast majority of my 40 years, I was surprised and delighted to read, back in the mid 2000’s in Michael Palin’s diaries 1969-1979, that those two worlds of the famous collided on more than one occasion. On one particular night this celebrity friendship led to a third unexpected megastar encounter with… The Rolling Stones! – On a side note I have a tenuous link to the Stones myself, having been born in Dartford, the Stones being our most famous “export”. My dad even remembers being in the Cubs while a Scout member and BB gun wielding Keith Richards hid up a tree taking pot shots at the younger targets below. 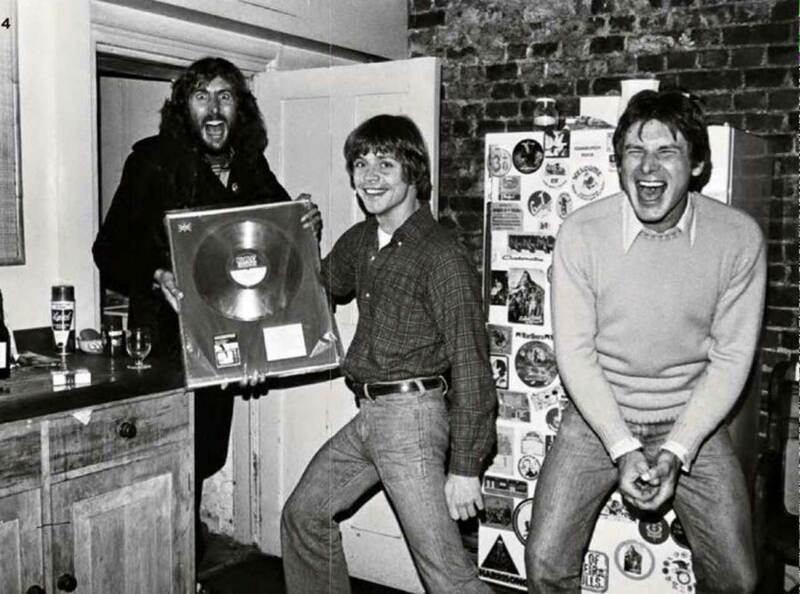 In the evening to a party at Eric’s – given by Chris Miller (Chris looked after the house while Eric was away) for Carrie Fisher (the heroine of Star Wars), who is renting El’s house while she works on a Star Wars Sequel at Elstree. “The two heroes of Star Wars are also there – Mark Hamill and Harrison Ford. @jamieswb I had used it to record a new vocal as Cheeky for Bright Side, on the floor of a hotel room with mattresses. That’s the vocal. @jamieswb The Tunisian Table Cleaner. His name was Ali. UPDATE: It suddenly occurred to me today to check in Alan Arnold’s brilliant book, Once Upon A Galaxy – A journal of the Making of The Empire Strikes back. On that day, 6th June 1979 the whole crew were in shock as Second Unit Director John Barry had suddenly died. There is no record for that following morning. The Beatle(s) connection is separate from the above, but just as surprising. In fact before today I didn’t even know it existed. In 1978, with the Star Wars cast at the top of their powers, Carrie Fisher appeared on “Ringo”, a TV Special starring Ringo Starr “as a both fictionalised version of himself, and as his fictional half-brother “Ognir Rrats” (Wikipedia). In in the sequence they sing a duet – “You’re Sixteen” in what has to be a special brand of awkwardness previously reserved only for “The Star Wars Holiday Special” of the same year. The “music video” even contains some Terry Gilliam-esque animation (by Linda Taylor), almost bringing us full circle back to Eric Idle. 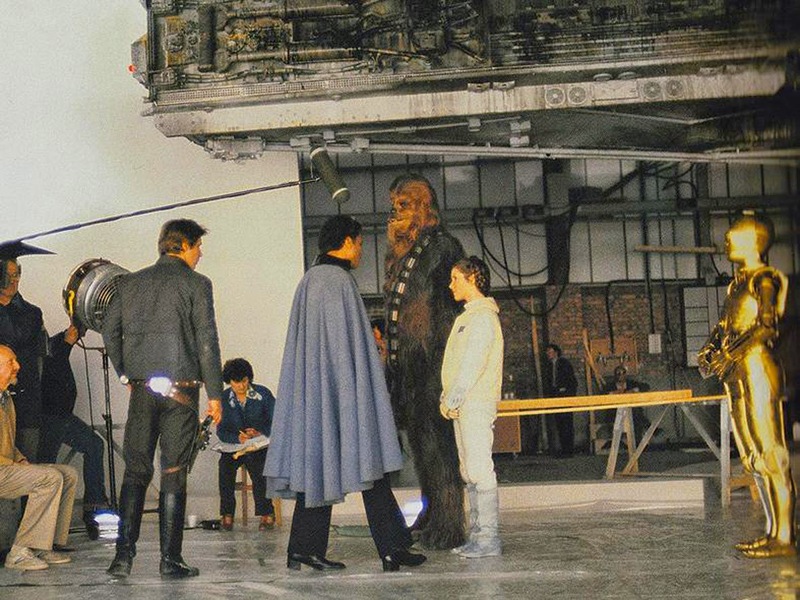 Many thanks to Scott Weller of StarwarsAficionado.com for providing this amazingly rare video in which on lucky kid visits The Empire Strikes Back Set at Elstree Studios back in 1979/1980. Older UK dwellers (like me) will remember the long running Jim’ll Fix series in which kids could write in and ask for their wish to come true. This kid was clearly the luckiest of all! I wonder where the kid is now. Shortly after the initial release and widespread coverage of Star Wars Begins, I was contacted by the lovely Francine Stock of BBC Radio 4 Film Programme. My other half and I ventured up to Broadcasting House in Central London one chilly afternoon. Francine and her producer gave us a warm welcome and after a half an hour chat with a microphone in front of me, we were done. Below are the results. Filmmaker Jamie Benning has finally finished his trilogy of documentary-commentaries. 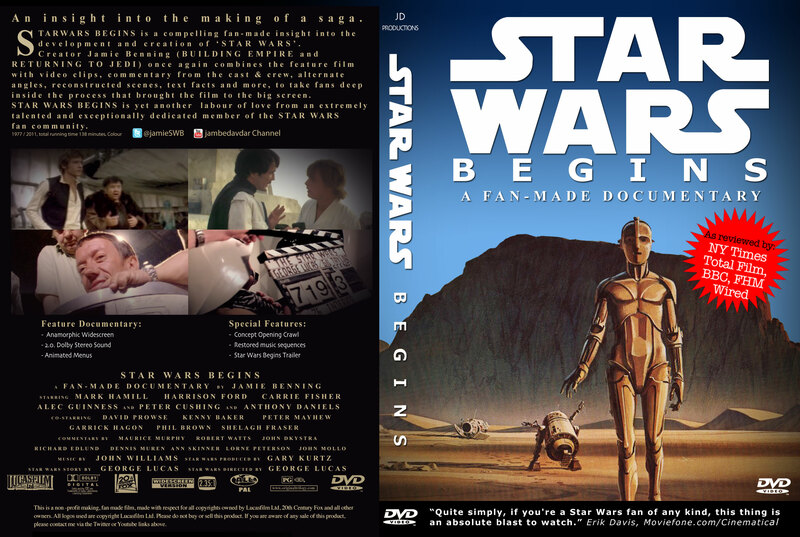 This final chapter concentrates on the first Star Wars film. 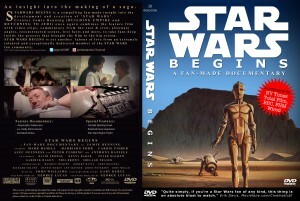 Like his two previous documentaries, Building Empire (2006) and Returning to Jedi (2007), Star Wars Begins is an unofficial look at the creation of the classic movie and features deleted scenes, alternate takes and different angles, bloopers, original on set audio recordings and a huge amount of commentary from cast and crew, culled from every corner of the galaxy. What’s interesting about the format is that Benning’s documentary is feature-length, and follows the flow of the original movie itself with the deleted scenes added where they would have been, with interviews placed over the top of the action they’re describing. The overall effect is much more engrossing than a DVD commentary track and the wealth of material contained makes it well worth sitting through the entire runtime of 2hrs 18mins. If you’ve never seen the deleted scenes of Jabba the Hutt or Biggs Darklighter on Tatooine, or heard David Prowse saying Vader’s dialogue, then you will get a real kick out of this. Many reviews and comments have centered on the fact that it’s like watching your favorite movie but from an entirely different perspective. Benning has obviously invested rather a lot of time and effort into creating this film, and the other two parts of his own trilogy. Lets hope that on the forthcoming Blu Ray Boxset (released in Sept 2011) LFL will go into as much detail and exude as much love for the subject matter as these films do. All of Jamie Benning’s Star Wars ‘filmumentaries’ are unofficial. They are all completely non-profit making exercises and are made with respect to copyright and with a genuine affection for the films. “This is a quality product.” Francine Stock, BBC Radio 4, The Film Programme.